“Prespa” cross – border region is one of seven established cross-border regions within the SWG and is situated in the south-west part of the Republic of Macedonia and southeast part of Albania and includes the following municipalities: Ohrid and Resen in Macedonia and Pogradec, Pustec, Maliq, Korca, Devoll and Kolonje in Albania. 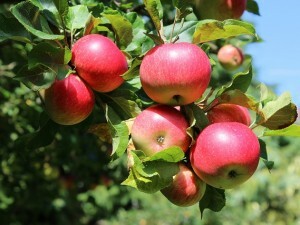 The economy in the region has a long tradition which relies on agriculture, with special focus on apple production, but tourism is its main contributor to the local economy. Rich natural resources as well historical and cultural heritage have contributed to the development of tourism. Agriculture is one of the sectors that provide most of the income in most of the municipalities of the cross-border region Prespa. As the result of climate conditions, the people from the region are traditionally oriented to fruit production, mainly apple, cherry, plum, strawberry and nuts (almonds and walnuts). Annually, in the Korca district apple production is about 70.000 tones and in Macedonian side production is about 150.000 tons of apples. In a period from 24-28 September, 2018 will be organized study tour of apple producers from the cross -border region of “Drina-Tara“ to get aquanted with good examples of apple production in the cross-border region of “Prespa”. The aim of the study tour is presentation and promotion of the local apple production, exchange of knowledge and experiences, good practices, identifying common needs and interests, exchange of ideas for improving rural development in the cross- border regions, as well as strengthen collaboration between different actors in the apple production from Bosnia and Herzegovina, Macedonia and Albania. In addition, presentation of national values and advantages of the territory will be made by visiting important national and historical places in the Prespa cross – border region. The study tour is organized and supported by the Regional Rural Development Standing Working Group (SWG) in South-Eastern Europe within the European Union funded project: “Regional cooperation and networking in the field of agriculture, rural and economic development of cross-border areas”.